On our endeavor to make both disciplines better known, we have launched the project "I am a Medicinal Chemist/Chemical Biologist", where we interviewed chemists working in the field. Here below you will find all the interviews. We hope they will inspire everyone! 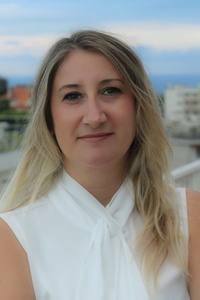 Today we share an interview with Martina Durcik from University of Ljubljana, Slovenia. In addition to discovering new antibiotics, she has been able to start a fire alarm while cleaning a dish washer. Do you also have similar skills? How did you get interested in Medicinal Chemistry? I have always liked chemistry, since I was a child. Then in the third year of my pharmacy studies I got in touch with medicinal chemistry and I knew that it interests me the most. So, I did my research work for the master thesis in the field of medicinal chemistry and I just wanted to continue doing that. Where and when did you obtain your PhD diploma? I am currently in the first year of my PhD studies. What was the topic of your PhD project? I am working on the discovery and synthesis of new DNA gyrase B inhibitors with broad spectrum antibacterial activity. Additionally, I work with different cell lines to evaluate the cytotoxicity of our compounds and I am also engaged in biochemical evaluation of compounds that are potential new Hsp90 inhibitors. Where do you work at the moment and what is your current position? 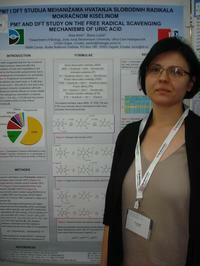 I am a young researcher at the department of medicinal chemistry at the Faculty of Pharmacy, University of Ljubljana. What I like and what drives me is doing something new, something unknown, like synthesizing compounds for the first time, getting new results and learning or discovering new things. I am always excited when I see a nice NMR of a new final compound or when I am waiting for the microplate reader to read the plate to see what numbers I get. What kind of tasks your job includes? Mainly it includes organic synthesis and analytics of small molecules, working with cell lines and performing biochemical assays on the cells. Then there is »office work«, like writing articles, and I am also involved in pedagogic work by assisting with practical exercises in subject Instrumental pharmaceutical analysis. What kind of skills your job requires? First are of course lab skills, but communication and writing skills are also important. Doing chemistry, it is important to be patient and persistent, because not everything always works for the first time already. Accuracy is also very important, especially during biochemical assays. I would say that it is also important to be courageous to sometimes just try something and see what happens (OVERthinking doesn't always help). If you mess up and lose a compound – well you do, but I think that more times than less you’ll get a positive result and if not, you still learn something. What do you consider your biggest achievement in your scientific career? So far, when my very first article (being the first author) was published I felt like on top of the world and it was a real encouragement for the future, but I think that my biggest achievement is yet to come. What are the features of a successful PhD student or postdoc? I think you have to be curious, eager to learn, persistent and it is important to have a good work attitude. What is the most embarrassing thing you did in the lab while doing experiments, e.g. explosions? There was quite a funny incident (fortunately not dangerous) when me and a colleague of mine were cleaning the dish washer (another funny incident was how it actually got dirty, but this was not my doing) and we were able to set off the fire alarm with the dish washer. Probably not everybody knows how to do this :). Which paper of yours you are the proudest of and why? I was proud of my papers whenever I saw the e-mail about the acceptance of the manuscript. But the current research with very successful results that I am most proud of was not published yet. What would you guess to be the next major breakthrough in medicinal chemistry? My answer could be biased since I am working on antibacterials, but as CDC once declared – we have reached the post-antibiotic era. So, I think that marketing new antibacterial agents with new mechanisms of action against the quickly spreading multi-drug resistant bacteria, to again gain advantage in the fight against bacterial infections, would be of great importance. Today we present you the story of Praveen Kumar Chinthakindi as part of the #Iamamedicinalchemist interview series. Do you think we should use more natural products or their derivatives in medicinal chemistry? I obtained my PhD in 2014 from the Indian Institute of Integrative Medicine-CSIR (work carried out) and Andhra University (Doctorate awarded), India under the guidance of Chief Scientist Dr. S. Koul and co-supervision of Prof.Y. L. N. Murthy. My PhD research project work focused on Natural products Medicinal Chemistry, natural products known for structurally complex and diverse scaffolds and using as a drugs for various therapeutic purposes from decades. However, especially terpenoids suffers from poor solubility as well as toxicity issues. Thus, I worked on biological active natural products to improve the potency as well as physiochemical properties. I had experience in Natural Products isolation from Artemisia laciniata, Psoralea corylifolia, Platanus orientalis Xanthium spinosum and generation of chemical libraries from their major chemical constituents such as Santonin, Bakuchiol, Betulinic acid, Piperine, and Isoxanthanol etc. using click chemistry, transition metal catalysis & functional group interconversion. Furthermore, we also investigated the therapeutic property of these compounds including anticancer, antimicrobial, bio enhancing & immunosuppressive activity in-house. Where we found few promising less toxic and more potent anticancer, antimicrobial, bio enhancing and immuno suppressive agents with improved solubility. After completion of my PhD, I worked as a senior research associate at Piramal HealthCare (CRO, Industry), Ahmedabad, and India. Where did you have your postdoc position? My first 3 years of postdoc at University of KwaZulu-Natal, Durban under the guidance of Prof. Per. 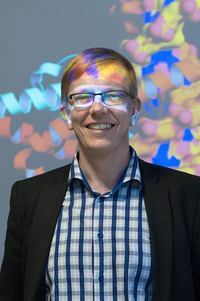 I. Arvidsson (Director of the National Swedish Drug Discovery & Development Platform at Karolinska Institutet/SciLifeLab, Sweden). There, I developed robust synthetic methodologies within the new branch of young SuFEx-click chemistry ( J. Org. Chem., 2016, 81, 2618–2623) to access biologically active sultams (Org. Lett., 2017, 19, 480–483), 1,2,4-thiadiazinane 1,1-dioxide in single step. This work was highly competitive with impactful researchers such as Nobel laureate Prof. Sharpless and leading Industrial Chemical biologist Lyn Jones working in the same area. Furthermore, my synthetic efforts were focused on the synthesis of small molecule libraries and peptidomimetics using solid phase peptide synthesis & transition metal catalyzed coupling reactions. While in South Africa, I got an opportunity to work closely with world renowned peptide scientist Prof. Fernando Albrecio (inventor of efficient peptide coupling reagent Oxyma) on a collaborative radiopharmaceutical peptide project for PET imaging; there I was involved in the facile seven-step synthesis of NODASA with a model peptide on solid phase resin (Synlett 2016, 27, 1685-1688). Moreover, I engaged in mentoring of Master, PhD Students and I was also secured a very prestigious postdoctoral fellowship from the South African Claude Leon foundation. Recently one of our Review on SuFEX click chemistry (Eur. J. Org. Chem. 2018, DOI: 10.1002/ejoc.201800464) has been selected as Very Important Paper by Wiley publishers and appears in Wiley Hot topics (Click Chemistry) as well. At Present, I am doing my second postdoc on “Sulfonimidamide based new modalities for Challenging targets” under the supervision of Assoc. Prof. Anja Sandström at Uppsala University, Sweden in collaboration with AstraZeneca, Sweden. Here I got opportunity to work closely with AstraZeneca Scientists on challenging drug targets (PPI etc.). As I mentioned earlier, I am working on industrial collaborative project and my research efforts mainly focused on development of solution phase and solid phase strategies for the synthesis of “Peptidosulfonimidamide based new modalities” for various drug targets under the guidance of Assoc. 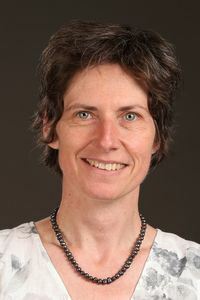 Prof. Anja Sanström. In addition, I got an opportunity to work with another academic collaborative project to design and synthesize antimicrobial peptide based protease inhibitors. During this year, I am going to involve another international networking project with Monash University directed towards design and synthesis of novel drug-like peptide-based enzyme inhibitors aimed to be e.g. cognition enhancers. I am also interested in highly challenging contemporary topics such as DEL, Antibody-Drug conjugates, PROTAC etc. I am enthusiastic to learn/explore underexplored chemical reactivity (SuFEX) as well as biological activity of novel chemical space (Sulfur aza analogues). 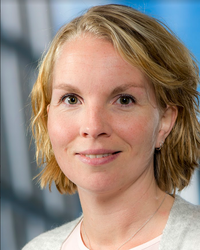 In general, Anja Sandsröm group works at the interface of chemistry and biology. 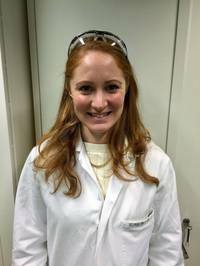 Her research group develops novel methodologies for the synthesis of biological active peptides and tool compounds. In addition, her group involved in the development of disease diagnostic peptide based PET imaging agents. My biggest achievement yet to come, however during my first postdoc, in our small molecule libraries discovery program we found one lead molecule and currently being evaluating in-vitro studies at Gothenburg University in Sweden and LEO pharma in Denmark, and in-vivo studies at Karolinska Institute in Sweden. This one gives me some sort of motivation to keeps me moving on the scientific path and fearlessly accept major problems and challenges. Overall, this job gives self-satisfaction to help others, train the newbies in lab, review papers of others and share scientific experiences. How would you describe yourself as a supervisor? During my doctoral studies and postdoctoral studies, I engaged in training Master and PhD Students. Some of them working as PhD students and some of them working as Research associates. I have trained them in literature search, conducting experiments, problem solving, and data analysis. Also, I have involved and helped in writing their thesis. Myself, I never experienced such type of accidents. However, I do remember while I was collaboratively working on synthesis of Betulinic acid based triazoles series using Huisgen 1, 3-Dipolar Cycloaddition one of my junior met with an accident. In fact, that was last compound to be synthesized in that series, after making the slurry of the reaction mixture (compound 17 + with excess of unreacted organic azide), he was trying to scratch the compound using spatula, all of sudden it detonated and round bottom flask broken into small pieces. Some of the sharp and tiny glass pieces scattered into his eyes (only sclera part) and started bleeding. We took him immediately to hospital and doctor removed glass pieces from his eyes. He was lucky glass pieces does not damage his eye sight. For more info see the paper for compound 17 reference: Eur. J. Med. Chem.2013, 63, 782-792. Which scientist do you admire the most and why? In personal, I admire my mentors because I know them very well than any other scientists and I spent most of the time with them and observed them very keenly and I learnt many things like how to select the challenging problems, how to tackle them independently, how to meet deadlines etc. They are friendly, collaborative, supportive, passionate, persistent, open-minded, and kind enough to teach me gently during this scientific endeavor. Mostly, I admire Edward Jenner, Alexander Fleming, Paul Ehrlich, Yellapragada Subbarow, Frederick Banting, and Arvid Carlsson for their discoveries which have great impact in Medicine. Did you experience any unfair situations during your scientific career? I would say no, I never been in that situation! However, most of the time I openly discuss with peers as well as supervisors to avoid such type of incidents. I am not proud for any of my papers but very happy for few papers which was cited by most renowned chemists like Nobel laureate Prof. Sharpless, chemical biologist Lyn Jones etc. Also, I am happy for one of our latest review “Sulfonyl Fluorides (SFs): More Than Click Reagents?” has been selected as Very Important Paper by Wiley publishers and appears in Wiley Hot topics (Click Chemistry) as well. Which field of medicinal chemistry do you consider the most promising in the future? Chemical Biology, Synthetic biology, and personal medicine all together going to be most promising. This week's #Iamamedicinalchemit is Michele Mari from the University of Urbino “Carlo Bo” Italy. 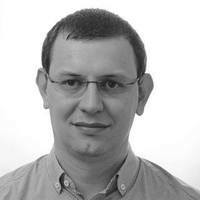 He is also the president of small spin-off company from the same university (GLUOS). Would you also like to have your own company? “Strategic indole functionalization for the synthesis of tryptophan containing alkaloids and biologically active tryptamines”, I’ve been into pretty much chemistry from total synthesis of natural products to new anticancer compounds. I have a postdoc position in the same University; I love to work in a quiet place like Urbino, surrounded by the beauty of an UNESCO site. At the moment I share my worktime between my postdoc position at University of Urbino and my start up company GLUOS (university spin off). We are working on a lot of things at the moment, I’m trying to push forward the pioneering work that our group did on melatonin receptors ligands, we are synthesizing some interesting natural products with antibiotic activity, another thing that we are always looking for is the development of novel antioxidant agents, finally I am also working on the analysis and biological activity of different natural extracts. It happened that when we were quenching some old reagents a one meter high green flame came out from the flask, but we were working safely so it was not a problem to manage it and dispose everything in the right manner to the waste. I cant talk for hours about this because I really consider myself a science nerd, and I love to follow also other people’s work, for sure a scientist that I really like is Prof. Paul Wender, with his reaserch that goes from chemistry to biology and medicine, I’m really passionate in particular in Organic Synthesis because I’m more a synthetic medicinal chemist, so I really like also the work of Prof. Phil Baran and Prof. Erick Carreira. I have to say that there are scientists I’ve been working with that really inspired me and I have them as models such as Prof. Jeffrey Bode and Prof. Giovanni Piersanti. Than I have to say Giulio Natta, our only Italian Nobel Prize in Chemistry and last but not least Prof. Robert Woodward that gave a touch of artistry to organic synthesis. I think that cancer is still the greatest problem of our era, we must improve the weapons we have against it, another emerging and urgent problem is improving our antibiotics pull to fight infections and bacterial resistance. So I would say that these two still remain the challenges to face in the future. 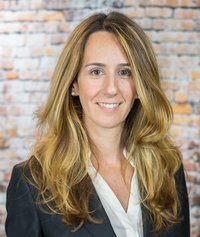 The first #Iamamedicinalchemist of 2019 is Maria Duca from the Institute of Chemistry of Nice. She thinks doing research should be also fun. Do you agree? I performed my undergraduate studies at the Faculty of Pharmacy of the University of Bologna (Italie) because I had an interest in chemistry and its applications, but without a clear idea of what I really wanted to do later. It was during the second year that I met an organic chemistry professor, Pr. G. Gottarelli, who made me realize how organic chemistry could be fascinating, extremely rich of surprises and discoveries and actually very useful when applied to the research for new drugs. Following courses of medicinal chemistry further consolidated this consciousness, and since then I pursued and realized the objective to work in this field. I obtained my PhD in Molecular Biochemistry in 2005 in Paris working under the supervision of Dr. Paola Arimondo and Dr. Claude Monneret both at the Pharmacochemistry lab in Institut Curie and in the Biophysics lab in Natural History Museum. During my PhD, I worked on the synthesis of new analogs of etoposide, an inhibitor of topoisomerase II, directed against specific sequences on the DNA thanks to their conjugation to triplex-forming oligonucleotides. This was a very original approach for site-specific chemotherapies combining medicinal chemistry with biochemistry, biophysics and cellular biology toward the discovery of potential anticancer agents. The experience acquired during undergraduate and graduate studies at the interface of chemistry and biology for the study of conjugations and interactions between small molecules and nucleic acids, led me to Pr. Sydney Hecht lab at the Department of Chemistry of the University of Virginia (USA) for the chemical synthesis of modified tRNAs bearing natural and non-natural amino acids for site-directed mutagenesis of proteins. Where do you work at the moment and what is your current position? What are your current research interests? I currently work at the Institute of Chemistry of Nice as a CNRS Research Scientist and I lead a research group entitled “Targeting of Nucleic Acids”. More specifically, I work on the design and synthesis of new small-molecule RNA ligands targeting therapeutically relevant RNA targets such as viral, bacterial and oncogenic RNAs. This is a very fascinating field of medicinal chemistry that has not been sufficiently explored so far but that is in great expansion. There is several challenges in the specific targeting of RNAs using small molecules but also extremely promising perspectives for innovative therapies. What I love being a medicinal chemist/chemical biologist is looking for a better understanding of the ways to affect living systems with chemistry. This can lead to interesting discoveries in terms of bioactive compounds but also to new insights about intracellular molecular mechanisms of actions, especially in the field of non-coding RNAs that are at the center of my research projects. My work involves a great deal of writing and reading, teaching to students in the lab and of course the never-ending search for financial support. This latter takes a lot of time but is also extremely rewarding since it stimulates the search for new and better ideas, it increases the potential for new collaborations and of course it allows for new recruitments when successful. First of all, a lot of curiosity and perseverance followed by patience and will to work with colleagues coming from different fields. Second, the ability to communicate clearly and effectively scientific concepts and projects (especially when filling grant applications!). How many PhD and postdoc students do you have at the moment? Are you currently looking for a new PhD and postdoc students? I currently have 3 PhD students and 1 post-doc and I am looking for another post-doc. Passion, determination, curiosity and of course the ability to have fun doing research and working with the group. I guess we should ask this to my students, but I would say understanding, respectful and flexible even if a little too speedy and thus sometimes lacking patience…. I of course admire a number of scientists excelling for their outstanding discoveries but probably I admire even more the large number of scientists contributing with smaller and less recognized discoveries that are however essential for the most important ones. A Nucleic Acid Research of 2006 (Nucleic Acids Res. 2006, 34, 1900) which is the most representative paper of my PhD work and includes a lot of the experiments I performed during the PhD. Which field of medicinal chemistry do you consider the most promising in the future? What would you guess to be the next major breakthrough in medicinal chemistry? We are currently exploiting only a small portion of existing potential therapeutic targets, thus I guess the most promising field will be the validation of completely new and unexploited targets (such as RNA of course!) combined with innovative chemical approaches to discover effective therapeutic agents. A number of great scientists are currently working toward these directions, so we will likely have major breakthroughs in the near future. Beside this, the precise manipulation of the genome or the specific degradation of relevant targets inside cells probably will lead to revolutionary therapies. This week's #Iamamedicinalchemist is Jorge Peiró Cadahía from the Scandinavian biopharmaceutical company Nuevolution A/S, Copenhagen, Denmark. Are you motivated to do synthesis because the difficult compound you are synthesizing might be "the one" which turns into a useful drug? Or do you have other great reasons to do synthesis? During my B.Sc. studies in 2012 I had the great opportunity to carry out a research project in the group of Prof. Adoración Gómez Quiroga at the Universidad Autónoma de Madrid. The project was based on the synthesis and biological evaluation of Pt-complexes with anti-tumoral properties. This bio-inorganic research project was my first contact with Medicinal Chemistry and encouraged me to start my M.Sc. on Organic and Medicinal Chemistry at the Technical University of Denmark. I have obtained my Ph.D. in December 2017 from the Technical University of Denmark, Copenhagen, DK. A six-month research stay in the group of Prof. Matthew Gaunt at the University of Cambridge, Cambridge, UK, was part of the degree. The main project of my Ph.D. focused on the synthesis and biological evaluation of reactive oxygen species sensitive prodrugs for the treatment of chronic inflammatory diseases like e.g. rheumatoid arthritis. A smaller sub-project carried out was based on the development of novel Pd-catalyzed carbonylation reactions. I am a Research Scientist at the Scandinavian biopharmaceutical company Nuevolution A/S, Copenhagen, DK (www.nuevolution.com). Our current research interest is the development of novel tablet-based drug therapies for human diseases within oncology and chronic inflammation. Examples of such autoimmune inflammatory diseases are multiple sclerosis, rheumatoid arthritis, psoriasis, inflamed fatty liver and chronic inflamed colon or intestine, where significant unmet medical need remains. 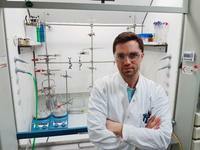 The fact that a specific compound you have synthesized in the lab, although sometimes very synthetically challenging, can be potentially “the one” that will create a better treatment or even a cure to very serious diseases motivates not only my daily work but probably also of many medicinal chemists. Design and synthesis of new analogues in “hit-to-lead” and “lead-optimization” programs as well as evaluation of biological results. Strong synthetic Organic Chemistry knowledge as well as Medicinal Chemistry know-how. My first publication “Synthesis and evaluation of hydrogen peroxide sensitive prodrugs of methotrexate and aminopterin for the treatment of rheumatoid arthritis. J. Peiró Cadahía, J. Bondebjerg, C.A. Hansen, V. Previtali, A.E. Hansen, T.L. Andresen, M.H. Clausen. Journal of Medicinal Chemistry 2018, 61 (8), 3503-3515 (https://doi.org/10.1021/acs.jmedchem.7b01775)” was probably the first big achievement in my scientific career. But to be chosen by the Danish Society for Medicinal Chemistry and Chemical Biology (DSMKB) as the Denmark’s nominee for European Champion in Medicinal Chemistry at the EFMC-YMCS 2018 was probably the biggest achievement so far. It was an honor for me to be given the opportunity to present my work in a truly international and relevant Medicinal Chemistry conference as the EFMC-YMCS is. Patient, motivated, hard-working, innovative and creative are probably the most important skills to become a successful Ph.D. student. Probably forgetting to turn off the vacuum when filtering Pd/C letting it to dry and get red-hot or quenching LAH with septum on the flask, producing a small explosion. You sometimes learn from mistakes. I do not dare mentioning a single and particular scientist without first expressing my admiration to all those scientists who despite the great difficulties in finding financial support for their research they persist and fight every day to continue running their groups. With all the above mentioned, I really admire Nobel Laureates Heck, Negishi and Suzuki for their contributions into the field of palladium-catalyzed cross couplings in organic synthesis. If any, luckily not of great importance. - Synthesis and evaluation of hydrogen peroxide sensitive prodrugs of methotrexate and aminopterin for the treatment of rheumatoid arthritis. J. Peiró Cadahía, J. Bondebjerg, C.A. Hansen, V. Previtali, A.E. Hansen, T.L. Andresen, M.H. Clausen. Journal of Medicinal Chemistry 2018, 61 (8), 3503-3515 (https://doi.org/10.1021/acs.jmedchem.7b01775). I believe PROteolysis-TArgeting Chimeras (PROTACs) are very promising small molecule targeted therapy strategies which many big pharma and biotech companies have relatively recently gotten onboard for its potential. I am sure we will soon read the first published clinical trials and hopefully also the first marketed PROTACs. 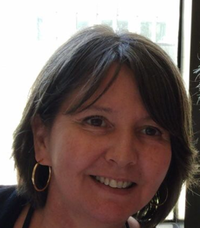 Christa Müller from Bonn University is celebrating her 20th year as a Professor of Pharmaceutical Chemistry! 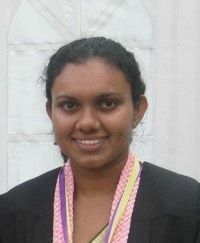 We congratulate her for this big achievement and share her thoughts on medicinal chemistry. When I was an undergraduate student at Tübingen University, Prof. Hermann J. Roth presented an excellent lecture on Pharmaceutical Chemistry. Later, I chose him as my PhD supervisor and mentor. During that time I spent much time in the library of our institute, and there my favourite journal was the Journal of Medicinal Chemistry, which I loved to read. And I dreamed of publishing myself in that journal. I completed my PhD in 1988 at the University of Tübingen, a small town in the State of Baden-Württemberg, in the South of Germany, about 60 km north of the city where I was born (Rottweil). Synthesis and properties of chiral amphiphiles and liposomal prodrugs with unsymmetrically substituted disulfide bridge. The compounds that I synthesized had terrible physicochemical properties. But I learned a lot about stereochemistry, prodrugs, lipids, amphiphilic compounds, liposomes and cancer therapy. At the National Institutes of Health in the Laboratory of Bioorganic Chemistry, National Institute of Diabetes, Digestive and Kidney Diseases, in Bethesda, Maryland, USA with Dr. John W. Daly. That was a whole new world for me which I had the privilege to discover. I would recommend everybody to work for some time in a top laboratory abroad, preferably on a different continent. You will have a new view on your previous work and life from a distance. I have been a Full Professor of Pharmaceutical Chemistry at Bonn University since 1998 – for exactly 20 years. And I still enjoy the possibilities as a University Professor at one of the top German universities. My scientific interests are focused on the medicinal chemistry and molecular pharmacology of purine-binding membrane proteins (purine receptors, ectonucleotidases) and orphan G protein-coupled receptors. Disease indications include neurodegenerative and inflammatory diseases, cancer, and rare diseases. My activities are ranging from basic research to collaborative drug development projects with pharma industry partners. Recently I have become interested in new modalities in drug development. Working with young, talented people and sharing my insights with them; contemplating about tricky scientific question and difficult issues - and finding solutions; contributing to the development of drugs that are beneficial for patients; collaborating with experts from different areas and from all over the world; reading scientific literature and learning something new every day. You have to be an allrounder and a hard worker; it requires creativity, organisational skills, problem-solving and leadership ability, team-working and collaboration competencies, teaching qualities, high motivation, patience, persistence, resilience - and you have to deeply enjoy what you are doing. Actually, I have always been broadly interested and contributed to different areas related to medicinal chemistry. Together with my coworkers and collaborators, I have developed many tool compounds for a variety of receptors and enzymes, that are nowadays widely used in many labs all over the world. Since I have been working at Bonn University, we name them PSB (Pharmaceutical Sciences Bonn) compounds (e.g. PSB-603, a potent and selective adenosine A2B receptor antagonist). I created a proprietary compound collection at Bonn University – the PharmaCenter Bonn compound library - which even contains the compounds that I had synthesized for my PhD. We do not only collect compounds prepared in Bonn, but also those from other groups. If we identify a screening hit for a target of interest, we collaborate with the colleagues that provided the hit compound. Recently, we developed the first potent and selective antagonists for the orphan G protein-coupled receptor GPR17, which bear great promise for the disease-modifying treatment of demyelinating diseases such as multiple sclerosis (MS). Patents have been filed and the compounds are being developed in collaboration with a pharmaceutical company. If clinical trials are successful, this could change MS patients‘ lives. Early in my carreer I have developed synthetic methods, which are useful and are nowadays applied in a number of labs, e.g. the synthesis of 3-substituted 6 aminouracils, which are important precursors for xanthine derivatives (Müller, C.E., Tetrahedron Lett. 1991, 32, 6539). My group has developed a number of new assays for various targets. My group is quite big, but this is necessary for our approach which combines chemistry and biology. The techniques established in my lab range from synthetic chemistry, (bio)analytical studies, and molecular modeling to in vitro pharmacology, and molecular and structural biology. I have 20 PhD students, currently more than usually, but several students are about to complete their thesis, and it is always good to have some overlap on a topic in order not to lose the knowledge regarding certain lab techniques. If excellent students and postdocs apply to my lab, I always try to find a way to finance them. High motivation is most important, in addition to creativity and talent, and persistence. Regarding a young scientist‘s CV it is always good to have publications (quality is more important than quantity), to have shown mobility, and to be supported by previous supervisors. Since I have a big group, I am not closely controlling each student. The students and postdocs will get some freedom to develop themselves as scientists, e.g. to realize some of their own ideas. In the inital phase, they will be co-supervised by a postdoc in the lab. I am always approachable to discuss results or problems and to suggest solutions, and I am carefully watching the progress of each project, and interfere if necessary to push it into the right direction and to make it successful. I do care for my students and coworkers. I had (small) explosions and fires. Once, I upscaled a reaction from a 10 g to a 30 g scale, it was the regioselective alkylation of silylated uracil with propargyl bromide in the presence of iodide, the procedure that I had invented. After the reaction was completed, and the excess of the silylation reagent had been removed by evaporation, the silylated product was carefully hydrolyzed by the addition of ice-water. This is an exothermic reaction, and it became too hot, resulting in violent reaction involving the triple bond. Fortunately, the fire was under the hood and could quickly be controlled, with the help of my labmate. Marie Curie. She was the first woman to get a Noble Prize in science, and later on, she even got a second one. She achieved this as a Polish immigrant in Paris, at a time when women hardly had a chance to study. Yes, but I was also lucky. In fact, I was the first woman who got a full professorship in Pharmaceutical Chemistry in Germany, and I got this chance only because at that time, in the late 1980s, it was more attractive to take a job in industry than to stay in academia. Luckily, the University of Bonn had had good experiences with female science professors, and they offered me a chair without hesitation. My perception is that not always the best scientists are successful, but the ones who are well connected within networks. The way you are treated is not always fair. On the other hand, data bases creating (more or less) objective assessments, nowadays can help in supporting fair decisions. Another problem I have observed and encountered is envy, which can be very destructive. There seems to be increasing egoism and ruthlessness in parts of the younger generation. Difficult to select because I have published around 400 papers so far, and there are a number of papers which I am proud of, including three publications which I co-authored and which were published in Nature. Thomas Borrmann, Sonja Hinz, Daniela C. G. Bertarelli, Wenjin Li, Nicole C. Florin, Anja B. Scheiff, Christa E. Müller; 1-Alkyl-8-(piperazine-1-sulfonyl)phenylxanthines: development and characterization of adenosine A2B receptor antagonists and a new radioligand with subnanomolar affinity and subtype specifity. J. Med. Chem. 2009, 52, 3994-4006. This manuscript describes adenosine receptor antagonists with low nanomolar affinity including the preparation of an A2B-specific radioligand. It contains a lot of information (which easily could have been divided into two or three papers, but I prefer papers with broad content). The described antagonists, e.g. PSB-603 and [3H]PSB-603, are currently among the most frequently used A2B antagonists due to their high potency, selectivity and metabolic stability. A long time after we had developed the first A2B-selective antagonists, such compounds have recently become of great interest for the (immuno)therapy of cancer. Immunotherapy of cancer using small molecules, in combination with targeted cancer therapies. Personalized drug therapy and diagnostics. What would you like to ask from other medicinal chemists? Which fields of medicinal chemistry would you consider the most promising in the future? How do you select the right targets? How did you manage to found a company (this is something I have not achieved yet) - and what are your recommendations? Small molecules are clinically successful and will be approved for the immunotherapy of cancer - further revolutionizing cancer therapy. 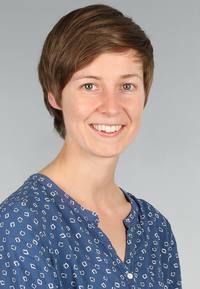 Christina Lamers from the University of Basel is this week's #Iamamedicinalchemist! Read below if she ever forgot anything important when doing a dilution series. Would you also like to take part in our interviews? Send us a message and we will send you the questions. After answering them we will share your story with our followers! was clear to me that I was going to get a PhD and continue working in science, with Pharmacy as a backup plan. Seeing every process in the human body as a chemical interaction fascinates me, especially because you can modify these reactions with a designed molecule, for example binding to a receptor might be competitive to endogenous ligands. As soon as you understand the molecular interaction, you can modulate it to treat diseases. Therefore, I started my PhD in Medicinal Chemistry immediately after completing my Pharmacy studies, and worked on small molecules activating nuclear receptors. I did my PhD in the group of Prof. Manfred Schubert-Zsilavecz at Goethe University in Frankfurt am Main, Germany. I also studied at that university and had the chance to check out all the working groups before choosing one with a topic and methods I liked the most. After nearly five years of PhD research, I obtained my PhD diploma in December 2014. But isn’t it stunning that molecules like fatty acids, which used to be considered a nutritional factor are actually signaling molecules? I was also involved in the cellular testing of several nuclear receptor modulators in our transactivation assay systems, and I was quite happy to also learn cell culture and other in vitro assays. I think this is very important for a medicinal chemist to also understand the in vitro systems that are used to judge their liability and comparability, especially if you want to create a sound SAR. For my first postdoc, I completely changed direction and went into the chemical biology lab of Prof. Christian Heinis at EPFL, Lausanne, Switzerland with a Marie Curie Individual Fellowship. I wanted to learn a more sophisticated and faster way to identify a lead compound than the trial-and-error method of a systematic SAR investigation. With Phage Display, you basically start the other way around and have a huge library of 10 9 compounds from which you let the target select the most appropriate ones. Obviously, you are restricted to peptides as your scaffold, but in the Heinis lab we are actually able to chemically modify our peptides to lead to new and pre-constrained molecular formats. These modified peptides have a high affinity, and are specific and able to bind difficult targets like protein-protein interactions. In November of last year, I moved to Basel, and I am now working in the group of Prof. Daniel Ricklin in the pharmaceutical department of the University Basel as a postdoc. tools to study these mechanisms will help us understand their involvement in age related and autoimmune diseases, which are pressing health issues now and even more in our future. afterwards, especially when you realize you have created something very active. The lab work is always fun for me, especially if you can solve a problem in a creative way. My job includes peptide synthesis, purification and the analytic evaluation as well as the testing in SPR and other assays. In addition, I am supervising students and teach a class of quantitative analytics for pharmaceutical students. Organizational and planning skills, time management, creativity is a plus, analytical skills, communication and presenting skills, networking skills are helpful to establish new collaborations. In my opinion the most important feature is endurance and commitment to your project. In my experience, most experiments don’t work the first few times and you have to try several approaches. You still need to motivate yourself to keep trying even if you had weeks of disappointing results. And to become an excellent PhD you need to be curious. Not accepting results as given but always ask for the why and how will lead to new observations and might be the start to a new groundbreaking project. When I was in my PhD I appreciated very much freedom in my research. I believe that you learn more when you figure out problems on your own and make your own mistakes. So as a supervisor, I always have an open ear if there are problems and my students need advice, but I try to not interfere with their planning and analysis of projects to leave them as much freedom as possible. I am the proudest of my paper of the first in class dual FXR antagonist and TGR5 agonist paper from my PhD project because it was a project with a difficult start and it didn’t at all go in the direction we expected. But I kept on working on it and in the end, I succeeded with a nice SAR and story. I pushed to publish and finished the manuscript after I was already graduated so that I really feel this paper is my own baby. I think we need a discussion about publishing and impact factor and how we can make a more transparent and fair reviewing process. Sometimes it feels like an established author name is worth more than solid scientific work. And also, negative reports are valuable and should be published. It is one of the most abundant knowledge on how not to do things but yet nowadays everyone has to figure out by themselves again. This week's #Iamamedicinalchemist is professor Martin Dolezal from the newest EFMC member state, Czech Republic. He is developing new antibacterials to help us outsmart the bacteria that are developing resistance to the current antibiotics. Initially, I thought I was going to make some career in microbiology, but that all changed once I took medicinal chemistry for my diploma thesis. From that moment on, I knew I wanted to design pyrazine molecules that are biologically active, meaning they have antibacterial effects on mycobacterial cells. After I received my Ph.D. in the field of medicinal chemistry, I took the assistant position at the Faculty of Pharmacy in Hradec Kralove Charles University, Czech Republic. I am a teacher for more than 34 years, now a professor of medicinal chemistry. I am a vice-dean of the Pharmaceutical faculty. I am a president of Czech Pharmaceutical Association. Almost all my professional life is connected with pyrazine chemistry, with novel pyrazine compounds, with searching and evaluation of their anti-infective properties. I prefer everyday contact with my students in my laboratory. All my diploma-students (more than 90) and Ph.D. students (12) were very important members of my research team. Some of them are now very successful professors or researchers at other institutions in Czech Republic or abroad. My best achievements in my scientific career is the education of young scientists. Of course, I have prepared approximately thousand of new compounds, and some of them are very active against M. tbc. What is the most exciting thing you did in the lab while doing experiments, e.g? Crystal forming during purification of new compounds, their fascinating polymorphism. I have an enormous respect for Dr. Paul Janssen and Dr. Antonin Holy, for their hard-working enthusiasms. The review article DOLEZAL, M.; ZITKO, J. Pyrazines Derivatives: a patent review (June 2012-present). Exp. Opin. Ther. Pat., 2015, vol. 25, no. 1, p. 33-47; the original paper DOLEŽAL, M.; ''.chr('268'). ''MEDLOVÁ, P.; PALEK, L.; VINŠOVÁ, J.; KUNEŠ, J.; BUCHTA, V.; JAMPÍLEK, J.; KRÁ''.chr('317'). ''OVÁ, K. Synthesis and Biological Evaluation of Pyrazinecarboxamides. Eur. J. Med. Chem., 2008, vol. 43, no. 5, p. 1105–1113. Both articles describe for me very interesting facts. New miracle drugs (incl. biologics, gene therapy, …) for personalised medicine and personalised pharmacy care. This week's #Iamamedicinalchemist is Cassandra Lee Fleming, a Marie Curie postdoctoral fellow at the University of Gothenburg (Sweden). 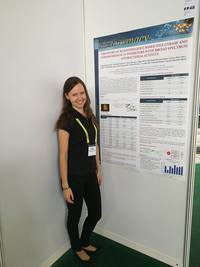 She is the Winner of the young medicinal chemist meeting in Sweden. I have always been interested in understanding how the body works. This in combination with my enthusiasm for a range of science subjects offered throughout my education led me to pursue my research interests within medicinal chemistry field. I completed my PhD in 2015 at Deakin University (Australia) under the guidance of Associate Professor Frederick Pfeffer. In efforts to further develop our understanding of how histone deacetylase (HDAC) inhibitors act at cellular level, my doctoral studies focused on the design and synthesis of fluorescent HDAC inhibitors as tools for cellular imaging applications. Following my doctorate, I joined the group of Professor Joakim Andréasson as a postdoctoral researcher at Chalmers University of Technology, Sweden. 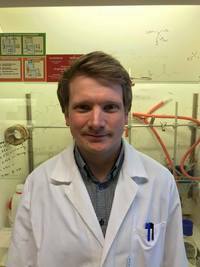 I am currently a Marie Curie postdoctoral fellow at the University of Gothenburg (Sweden), in the group of Professor Morten Grøtli. 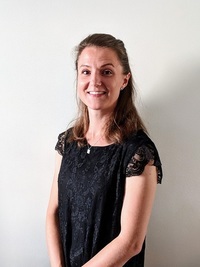 My research interests are centred around the utilisation of light as an external stimulus to control the pharmacological activity of small bioactive molecules in diseased cells and tissues to provide valuable insight into the underlying molecular events of complex disease states. I like being able to combine the practical aspects of organic chemistry with problem solving to address the research question at hand. I really enjoy the interdisciplinary nature of my current project and the fact that no two days are ever the same. You are constantly learning new things (even if most of the time this is a result of experiments that just didn’t work!). I spend most of my time synthesising fluorescent and light-responsive bioactive molecules and evaluating their photophysical and biological properties. However, more recently, I have also begun to dabble in a bit of multiphoton microscopy. Curiosity, determination, to be able to embrace failure and to ‘think outside the box’. During my PhD I once accidently flooded the fume hood with water and oil after the hosing on my reflux condenser split and the water ended up flowing into the oil bath. Luckily this happened over the lunch break so not a lot of damage was done, however it did take a while to clean up! This is a tough question as there are so many inspirational scientists both past and present. However, I really admire Sir Martyn Poliakoff for his science outreach and education work. He communicates a diverse range of scientific topics in a unique and engaging way. He shares his passion for learning with the public and inspires the next generation of scientists — he is an excellent role model for young researchers. I hope to see a significant advancement in our understanding of the underlying molecular events of neurodegenerative disorders (such as Alzheimer’s) so that effective treatments for disease states can be developed. This week we offer you an exclusive interview with the president of EFMC, PhD Yves P. Auberson. Do you sometimes feel like you are trying impossible reactions like he did during his post-doc? The power of chemistry to create novel matter always fascinated me. As a kid, I witnessed an epilepsy patient having a seizure while on vacation in Spain, and that left a lasting impression on me. When I realized that new molecules might have the power to heal, I became fascinated in the potential of medicinal chemistry. I obtained my PhD in 1990, in Prof. Pierre Vogel’s group in Lausanne, Switzerland. 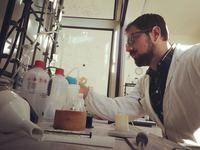 I developed total syntheses of rare sugars: Fun chemistry, intellectually challenging, and that prepared me well for the next step in my career. With Prof. Peter Schultz, at Affymax in Palo Alto, California. It was a start-up company by then, and I had a great time. We were surrounded by brilliant people, pursuing new ideas by mixing techniques of biology and chemistry with printing technology. What a lesson it was! The company was at the research edge in combinatorial libraries, which was a fancy new development at that time: printing DNA on chips, or using phage display to produce gigantic peptide libraries created fascinating opportunities. My project was to develop catalytic antibodies to lower the energy of activation of thermodynamically disfavoured reactions. That was an ambitious goal, and despite all efforts, impossible reactions remained... impossible. 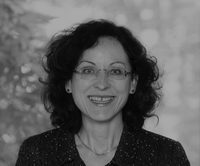 I work in the Novartis Institute for Biomedical Research in Basel, Switzerland, and have a double role: leading a research group, and serving as president of both EFMC and of the Division of Medicinal Chemistry and Chemical Biology of the Swiss Chemical Society. Novartis is a great company to work for, science-oriented and supportive of the scientific community in general. My research group is developing clinical imaging agents to facilitate the development of our drug candidates. Imaging helps with diagnosis and monitoring of disease progression, but also answering questions that cannot be easily addressed otherwise, such as: Does a drug reach its target and occupy it long enough to have an effect? What is the most effective and safe clinical dose? This is very helpful information for our clinicians, and when it helps bring a drug faster to the patients, it is well worth the effort. There is also an artistic dimension to the images we generate, and that makes it even more interesting. Its intellectual diversity, the people I work with, and the fact that I will never know everything and must keep learning all the time. What do you consider your biggest achievement in your scientific carrier? When we tested our first development compound in treatment-resistant epilepsy patients and... yes, it worked! There is no bigger satisfaction than seeing years of research transform into a therapy. It feels like a miracle happened when a new molecule created in a medicinal chemistry lab proves to work in the clinic, and restore health. I still remember reading, as a child, the “Stories of Uncle Paul”, a cartoon that introduced me to the life of Alexander Fleming and Louis Pasteur, and many other wonderful scientists and admirable minds. I loved these stories, and I suspect this is one reason I became interested in science. There are of course many admirable scientists, past and present. They all have in common dedication, a sense of innovation, curiosity and an acute sense of observation, and a knack for finding gold nuggets in mountains of data. This is an interesting question, and my belief is that medicinal chemistry will become even more diverse. Low molecular weight compounds will remain a major source of new treatments in the future. Other areas, including synthetically optimized biologics, will expand our options. There is much to gain by exploiting the chemical biology – medicinal chemistry continuum. Better chemical tools will help improve target selection; new modalities will allow developing novel therapeutic approaches. Imagination and innovation should have no limits. It is hard to say, as the claims around the potential impact of new techniques in drug discovery are often exaggerated. I tend to believe that innovation is incremental and that we will continue to develop the power of medicinal chemistry by constantly challenging ourselves, exploring new technologies and ideas. Over the years, multiple innovations have contributed to this progress, such as computer-assisted drug discovery, new synthetic methods and screening technologies, chemically optimized biologics or target identification technologies. The human body is complex and we need a broad variety of approaches. The next major breakthrough is always a drug that shows a real impact on patient’s lives, whatever form it takes. To stay passionate, curious and creative, to be supportive of their team and community, to trust themselves and have fun in research, but never forget the ultimate objective of what we do: create tools to improve our understanding of disease, and drugs to help people live a better and healthier life. This is something we can really be proud of. This week's #Iamamedicinalchemist is Ana Sofia Newton from Yale University. She enjoys working in a creative environment. Do you think drug design requires creativity? I had an interest in Chemistry very early on. I did my undergrad studies at the Faculty of Science in Lisbon. At the time Martinho Simões, a distinguished Physical Chemistry Professor, and Amélia Pilar Rauter a pioneer in Carbohydrate Chemistry had a profound impact on me and my initial directions in research. 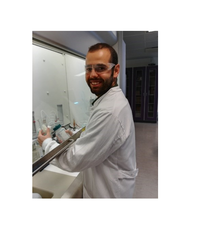 I became more and more interested in Medicinal Chemistry and decided to do my graduate studies at the Faculty of Pharmacy and develop my knowledge in both Medicinal and Computational Chemistry under the supervision of Prof. Rui Moreira and Prof. Rita Guedes. Where and when did you obtain your PhD diploma? What was the topic of your PhD project? I obtained my PhD diploma at the University of Lisbon in 2013. “Design, Synthesis, and Evaluation of Peptidyl Inhibitors for Clan CA and Clan CD Cysteine Proteases.” A big title but basically I applied Medicinal and Computational skills for the development of anti-malaria and anti-neurodegenerative agents. It was pretty exciting and I learned tons. My interest in drug discovery and Medicinal Chemistry assisted by computer aided-methods lead me to William Jorgensen’s lab at Yale University. Throughout my doctoral and postdoctoral work, I was particularly interested in being able to apply both computational chemistry and organic synthesis in drug discovery. I knew that applying computational strategies to design small molecule inhibitors was important, but at the same time having a strong synthetic background would allow me to rapidly distinguish computational hits that could be feasibly synthesized from those that would represent a substantial synthetic challenge. Currently I work at Yale University as an Associate Research Scientist where I am leading two collaborative research projects to design potent, safe, easily administrated, and long-acting small molecule inhibitors that could reduce or eliminate blood cancer growth and skin cancer. The approach combines state-of-the-art technology for molecular design, synthetic organic chemistry, biological assaying, and crystallographic determination of structures of the designed molecules bound to their protein target. I would say being surrounded by people with a lot of creativity. Also, attention to detail and enormous passion for drug discovery are good skills to have if you want to be a good scientist. Perseverance, working as a group and always pushing the projects forward because you will most likely find a breakthrough. We have 3 PhD students and 4 Postdocs. Currently we have two Medicinal Chemistry Postdoctoral positions open. They will work in close collaboration with experts in computer-aided drug design, biological assays, and protein crystallography. Strong organic and medicinal chemistry bench skills, good interpersonal skills, flexibility, and the ability to work well within an interdisciplinary team environment. I suspect the expected answer would be Sir Isaac Newton. The brilliant British mathematician and physicist is definitely among my top choices. For Newton, all there was in the world was matter moving. His equations are so effective we still use them today. However, Albert Einstein proved that time and space are shaped by matter. He could take a hard, physical problem and boil it down to a powerful visual image, a thought experiment. A creativity process that very few are able to achieve. This week's #Iamamedicinalchemist is Vlad Pascanu from at the University of Zurich, Switzerland. He is so enthusiastic about medicinal chemistry that he even dreams about it! Share with us your medicinal chemistry dreams! I received my PhD in 2016 from Stockholm University, in Sweden. We were developing heterogeneous catalysts based on a class of porous materials called MOFs, which were making waves at the time. Interestingly, this topic was almost as new for my supervisor at it was for me. There were many mistakes I’ve made along the way and many lessons to learn, but it was an exciting experience. Some of these catalysts I mentioned above were active enough to raise interest from a big pharma company in Sweden. At one point, I got the chance to spend a couple of months in their labs and test my catalyst on their molecules. It was a fascinating experience to see such a vast amount of resources dedicated to science and to curing disease. It was then when I started to think it would be nice to be part of this effort and that this is a topic that would keep me curious for a long time to come. 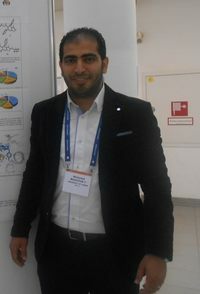 I am currently a postdoctoral researcher at the University of Zurich, in Switzerland. I have been here for about one year and a half now. We are interested to develop chemical probes that interrogate the function of major transcriptional co-regulators CBP/EP300. These are chromatin-remodeling factors involved in epigenetic regulation with essential roles in healthy embryonic development. However, their precise mechanisms of action and roles in oncologic malignancies are not yet elucidated. We focus on small-molecule inhibitors but also new modalities such as PROTACs and all sorts of other conjugated entities. I like to think that our job is to create things (molecules) that have not existed before and use them to answer biological questions that could not be answered before, which is cool. Also, the freedom to test in the lab whatever idea I may have dreamt the night before is a priceless feeling. Another one of the rewards is being constantly surrounded by extremely intelligent people. I am spending the better part of my time doing organic synthesis and whatever is left, I spend it on reading, planning and trying to think of new solutions and strategies. I wish I could dedicate more time to that ever increasing pile of “to read asap” literature. However, we are a small group of people with not enough hands in the lab and way too many ideas. I also spend a considerable amount of time trying to prevent my younger colleagues from getting discouraged too quickly. I think that should be part of every postdoc’s responsibilities. Over the next couple of months, I hope I’ll get the chance to spend more time playing with zebrafish. But this all depends on how the synthesis goes. There are some technical skills required, but I found that I could teach all the practicalities to a student in less than one semester. And these are probably the first skills that will be mastered by automated robo-chemists. Therefore, I cannot rely on that alone for the future. More important is the ability to connect different pieces of information and ask the right questions. For the time being, my future goals are still considerably bigger than my achievements. There were perhaps a few moments when I felt that I must be doing something right. But I would rather answer this question in a few years’ time. Resilience is by far the most important. And that rare ability to not lose sight of the bigger picture and of your bigger goals, in the face of daily minor setbacks and obstacles. Then comes curiosity and being open to learn from others. Not least, ethics, in all its forms. My experience in this direction is rather limited. There have been a couple of BSc and MSc students for whom I was responsible. If anything, I have learned that I need to work on my patience. Still working on that. What is the most embarrassing thing you did in the lab while doing experiments? I don’t think I have ever done something stupid enough to be memorable. Not more than the regular throwing your organic phase to waste or breaking the Dewar and giving everyone a mini-heart attack. Nevertheless, it was quite embarrassing when the cleaning staff found me at 6 a.m. on an inflatable mattress in the middle of our computer room, after I had missed the last metro home. I would choose Edward O. Wilson for the life-long dedication to his passion, for relentlessly advocating for science, for being a brilliant storyteller and for the energy that he still invests into seeding the same kind of passion in the hearts of young generations of scientists. Books such as “Letters to a young scientist” should be read by everyone, in the darkest moments of their PhD studies. Nothing serious. Even though I have spent the previous seven years as an immigrant, I was privileged enough to work in Stockholm and Zurich, which both have a highly developed culture of equality and tolerance, in the society as well as in the lab. I have not published much during my medchem postdoc and the most interesting work has yet to come out. However, I am proud of a paper recently published from my PhD work (DOI: 10.1021/jacs.8b03505). This was an enormous collaborative effort to portray the entire lifecycle of a catalyst, which we had previously developed. We could take clear snapshots from the bench-stable precatalyst, to activated form in solution, aging into different species that operate through different mechanisms, and finally succumbing to deactivation pathways. It is a whole story from birth to death and it is an empowering feeling to get that kind of detailed insight into a process that you have been struggling to understand for years. I’m optimistic about the potential to use deep learning tools to predict pharmacokinetics and toxicity and hopefully reduce to some extent the demand for animal models. I would be happy to see more medicinal chemists embracing more modern and less wasteful synthetic tools, along with the risks that it implies. Read Jonas Bostrom’s analysis on this topic (DOI: 10.1021/acs.jmedchem.5b01409). I would bet my money on drugs based on new modalities, and in particular targeted protein degraders (PROTACs). They represent a fundamentally different mode of action that could, in theory, target proteins that lack a high affinity ligand or a well-defined enzymatic site. This technology could enable researchers to go after oncoproteins that were previously out of reach with small molecule inhibitors. This week's #Iamamedicinalchemist is Davide Benedetto Tiz from the faculty of Pharmacy in Ljubljana (Slovenia). Do you agree with him that luck plays a role in synthetic chemistry? During the high school I had classes about natural science (biology, geography and chemistry). My professor was so interested about chemistry that transmitted his passion to me. I liked the pathos behind each experiments and the fascination that could stem from putting together small entities such as atoms in order to form bigger substances. Later, during my master degree, I really fell in love with organic chemistry subjects combined with the pharmacology: this cocktail led me to become a medicinal chemist, a passionate scientist that transfers his synthetic skills into the development of new drugs. The topic of my PhD project is the design, synthesis and evaluation of novel DNA gyrase and topoisomerase IV inhibitors. DNA gyrase is a bacterial topoisomerases that catalyse changes in DNA topology and are validated targets for antibacterial drug discovery. DNA gyrase is primarily involved in the negative supercoiling of DNA during replication, while topoisomerase IV is deputed to the decatenation of the two daughter chromosomes after replication. From the crystal structure of E. coli DNA gyrase B in complex with a previously developed inhibitor recently disclosed by our research group, I developed further inhibitors which displayed good inhibitory activities against E. coli and S.aureus gyrase B. Some compounds possessed activity against selected Gram-positive bacteria. I currently work at the faculty of Pharmacy in Ljubljana and I carry out my research work as a PhD student in my third year of studies. My interests are mainly organic chemistry and medicinal chemistry. In particular I am involved in the preparation of carboxylic acid bioisosteres, replacements that are meant to boost the penetration of small-molecules into bacteria. The limited drug entry in bacteria is today one of the limiting factor to develop successful antibiotics. Mostly synthesis and purification of compounds. I also perform docking studies of my molecules and other computational studies such as the prediction physicochemical properties. Examining the analytical data of a certain compound is also an aspect I like because I feel like solving a riddle and revealing the true identity of a compound is something that makes me satisfied. My daily routine includes the preparation of the designed inhibitors, their purification using several techniques (e.g., chromatography and crystallization) and the sample preparation for the collection of the analytical data (NMR, infrared, polarimetry, mass spectrometry and melting point). The most interesting part and sometimes the most difficult is the design of the synthetic route because you have to take into account the compatibility of different groups in a molecule. Additionally, I am writing review and research papers related to the field of antibacterial discovery. Patience, I would say, is one of the most important skills because it often happens to deal with failed experiments. Another skill is the manual work since I need to set up the reaction environment and to dose liquids carefully every day. Last, but not the least, the wisdom you need when arranging, for example, the stoichiometry and the duration time of a determinate reaction. The biggest achievement is for sure the obtainment of molecules endowed with antibacterial activity since I believe drugs are important tools for the mankind's health. At the moment I am the only PhD under the supervision of my mentor, Assist. Prof. Nace Zidar. Persistence, creativity and a little dose of risk are the features I believe count most in the career of a PhD student. Curiosity is also fundamental: I learnt how to predict and plot the physicochemical properties of my inhibitors while attending a summer conference. I am not a supervisor, but I had some students working with me. I would describe myself as a methodical person because I consider the lab environment as a second house. The most distressing happening was when I mistook the labels of two similar compounds and it took several time to understand which one was the correct one. Another embarassing thing during the master thesis was while evaporating phosphorus oxychloride. The rotavapor contained few drops of water from a previous job and I suddenly noticed an evolution of smoke. I asked my mentor for help and except for the scare of seeing a "cloudy sky" I could go on with my experiments unharmly. And yes, do not leave a black product on the bench without naming it: I found my product in the trash bin because a co-worker thought it was an impure mixture. My favourite scientist is Prof. Mitsunobu. His famous reaction that combines an alcohol and a carboxylic acid to make an ester has become one of the most important transformations in organic chemistry at industrial level and in academia. I have often carried out the Mitsunobu process and I believe one of its major utility is the inversion of configuration of the alcohol starting material. I did not experience such unfair situations. I think luck sometimes plays an important role in organic chemistry. Without doubt the review whose title is "Overcoming problems of poor drug penetration into bacteria: challenges and strategies for medicinal chemists". It was my first publication and for me it represented a big achievement since I consider myself more a "laboratory guy" than a write-aholic. The discovery of novel anticancer and antibacterial agents. Finding novel anticancer drugs with limited side effects and antibacterial agents effective against resistant bacteria would represent a big step forward in the world of medicinal chemistry. As a bachelor student I followed a course on “Design and Synthesis” (Ontwerp & Synthese in Dutch), and the idea that a small molecule can modulate a large protein intrigued me. Teaching, supervising and mentoring the next generation, i.e. bachelor, master and PhD students. My job is quite diverse, which I like very much. It consists of research, teaching and management. That so far nine of my PhD students have graduated in time, all resulting in PhD theses to be proud off. I currently don’t have a vacancy, but that can change. Of course, I am interested to host excellent people when they can secure their own funding, e.g. Marie Curie Fellowship. In general, I admire scientist who are able to combine a family with a scientific career. I know from my own experience that this is quite a challenge. I am currently most proud of my Nature paper in 2016 in collaboration with UCSD (Prof Handel lab). In general, I am most proud of the papers resulting from (interdisciplinary) collaborations. I think that any field taking the desired in vivo pharmacology in mind is promising. This sounds trivial, but is often lacking. How they would describe the field of ‘Medicinal Chemistry’, or how they feel they contribute to the field of ‘medicinal chemistry’. I am biased of course, but a major breakthrough would be when a small molecule designed to have optimal target binding kinetics reaches the market. So far, some marketed drugs have been shown in retrospect to be efficacious due to optimized target binding kinetics. Having a ‘prospective’ example would really be a breakthrough (further) supporting the importance of this concept. This week's #Iamamedicinalchemist is Fabrizio Giordanetto, Head Medicinal Chemistry from D E Shaw Research LLC. 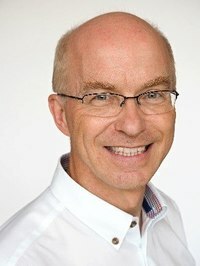 What makes medicinal chemistry unique and so interesting? Read from below! I became completely hooked on Medicinal Chemistry when I heard a talk on Drug Discovery and Medicinal Chemistry given by a SmithKline Beecham Director at a career fair organized by the local university. I simply could not resist the unique mix of design, engineering rigor, uncertainty management and scientific method directly responsible for the creation of new medicines. The idea of being able to decide and manipulate matter at an atomic level of detail and see direct consequences in the lives of human beings felt so challenging, meaningful and rewarding, there was basically no coming back. Early thoughts about a career in architecture were quickly dispelled by the promise of designing and building something that nobody did before, nobody could see in action, but whose results could change life. I clearly remember this aura of wizardry and unknown beckoning me then, I just had to try and do it for a living. I signed up for a Masters degree in Medicinal Chemistry, then got myself a scholarship for a PhD in the same subject because I was thirsty for more. The industrial placement during my PhD was so life-inspiring and life-transforming it is hard to describe with words. I would leave the company site late at night desperately wanting back the next morning. The next day I would arrive fully energized despite set-backs, my sheer ignorance and the challenges ahead, daring to try again. A magic magnetic pull drawn me to data, new concepts, revised ideas, different people and skills, the details of all these aspects. It was never the same. There was so much to take in, to try and understand, to attempt practicing, to apply in projects, to internalize as an experience for the future, I only wished there were more hours in a day. It dawned on me I did not want to do anything else than taking one industrial drug discovery project after the other, sift through that complexity over and over again, success and constant learning as convincing beacons. I decided to build my professional path and all my future career decisions around it. 20 years on, I am so glad and grateful I made that choice and stuck with it. The reality of it surpassed everything I had imagined or even wished for. There is something extremely defining and inspiring in building a drug discovery project from scratch, when only the therapeutic modality is thought of, generating knowledge and expectations while advancing it through the various stages and pitfalls, all the way to progressive testing in humans. The journey itself is already worth all the efforts, let alone the final product. The fact that each project is truly unique and hardly resembles anything seen before only adds to the fascination. There is something very humbling in knowing and accepting that, despite all these years and all these projects, one would still have to start almost empty-handed, informed by past experience but not blinded by it, balancing endurance and pragmatism with finite resources and budgets, threading risk and opportunity, with final success still defined as a statistical exception. What else could one wish for from a profession? This week's #Iamamedicinalchemist is Tonko Drazic from the Institute of Pharmacy and Molecular Biotechnology at Heidelberg University. Read below how he created some smoke and a lot of beta-lactam related inhibitors. In my case, there was never a certain point in which I decided that I want to work as medicinal chemist. This is simply the way life lead me, although I have always been interested in natural sciences. After university I started working in biochemistry lab on lipid metabolism and after two years I switched from investigating lipid metabolism from biochemical viewpoint to finding drugs which alter it. Since then, and this was 11 years ago, I have been in Medicinal Chemistry. I obtained my PhD diploma from the University of Zagreb, Croatia. I had a defense on a nice winter day in December 2014, after sailing rough seas called PhD research. I was working on the development of analogs of ezetimibe, a β-lactam cholesterol absorption inhibitor. My PhD research was a great experience for me because I was working on all aspects of the project, from synthesis, over in vitro testing to experiments in mice. 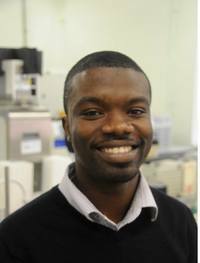 I am a postdoctoral researcher at the Institute of Pharmacy and Molecular Biotechnology at Heidelberg University. I came here a year ago after winning Marie Curie Individual Fellowship. As during my PhD research, my interests are still related to β-lactams and their biological activity. However, the target has changed since the PhD research. Currently I am working on my Marie Curie fellowship project “β-Lactams as flaviviral NS3 protease inhibitors - LIsTEN”. This project is focused on the development of β-lactam compounds which act against flaviviral diseases. Flaviviral diseases affect millions of people mostly in tropical and subtropical regions. But with global warming, greater incidence is also expected in Europe. Most dangerous flaviviruses for humans are dengue virus, yellow fever virus, West Nile virus and as of recently, Zika virus. The aim of my project is to investigate the potential of β-lactams to inhibit flaviviral protease, and is mostly related to dengue virus, but deals also with other viruses. I like the excitement of obtaining new and especially unexpected results. I guess that this is the favorite moment for most scientists. I also like putting pieces of the puzzle together and the feeling of fulfillment when I see meaningful results mount. At the moment, I am mostly occupied with organic synthesis. However, as probably is the case with most medicinal chemists, my job is pretty interdisciplinary and it extends into the realms of biochemistry and biology. When it comes to the so-called “bench work”, besides synthesis, during my career I have performed biochemical assays, worked with cell lines, including the development of cell assays, analyzed human samples and very recently, immersed myself in computational chemistry. My job does not require any particular skills other than usual skills required for the work in the lab. But my job also requires certain mental qualities. Most of all persistence and patience. These are the qualities which are, I guess, required in science in general, as science is a slow process of “achieving” many failures before reaching some rewarding discoveries. So far, it is obtaining Marie Curie fellowship. I am really happy and proud to have won this prestigious fellowship. But I hope that my biggest achievements will come in the future. Curiosity, persistence, eagerness to learn, imagination. During my PhD I once overestimated the firmness of a reaction flask in an overnight reaction. The flask exploded and spilled the oil from the oil bath. As the reaction was heated, there was a lot of smoke from the oil and the Institute’s firefighters had to intervene. Since it was an overnight reaction, all the mess was over until I came to work (lucky for me ). Later we had a rule that whoever causes an explosion or fire has to bring a cake afterwards. Luckily, I had no more incidents. There are a lot of scientist which I admire, but now I will mention three: Charles Darwin because he found general rules of evolution from a huge set of individual data; Richard Feynman because of the way he communicated science and from the field of chemistry Elias James Corey, because of his enormous productivity in wide range of topics in organic chemistry. I hope that the papers I would be the most proud of are still going to come. I would like to say that it is the development of drugs against neglected tropical diseases. I think this is a vast and still pretty unexplored field, which could teach us a lot about pharmaceutically active compounds and their interactions with targets. Even more importantly, the advancement in this field could save great number of lives. Unfortunately, I am not sure that it is likely going to happen. This weeks' #Iamamedicinalchemist is Ana Amic from the University of Josip Juraj Strossmayer in Osijek, Croatia. What does she enjoy about her job and other details you can read below. I was always interested in natural sciences, especially chemistry and biochemistry. Partly it was due to my teachers, but in a greater part it was due to my family. My father is a chemist, and he was the one who got me truly interested in chemistry. Where and when did you obtain your master/PhD diploma? I obtained by PhD diploma in the field of Chemistry in 2017 from the University of Josip Juraj Strossmayer in Osijek, Croatia. What was/is the topic of your PhD project? I was working on a novel and ecologically friendly method for N-acetylation of amines in choline chloride based deep eutectic solvents (DESs). The main objective was to create efficient and environmentally friendly protocol for acetylation using DES, which acts as a reaction medium as well as a catalyst. Developed protocol was proven to offer several advantages to conventional acetylation reactions such as operational simplicity, easy workup, shorter reaction time, excellent yield, economically and environmentally acceptable reaction conditions with the use of easily available, efficiently recyclable and reusable, nontoxic and bio-degradable solvents. Where did you have your postdoc position? Or do you plan to pursue postdoc position? I plan to pursue postdoc position, preferably in a combination of experimental and computational chemistry. Molecular modelling is a very useful tool that allows a better understanding of chemical and biochemical topics. It makes sense to use computers to predict characteristics of novel compounds and even the optimal route of their synthesis. Currently, I work at the Department of Chemistry at the Josip Juraj Strossmayer University of Osijek, as a Teaching Assistant. At the moment, I’m focused on computational chemistry and the use of computers to study reaction mechanisms behind biological activities of natural compounds, which can be found for example in medicinal plants. My research interests are in understanding of the background of biological activity of medicinally important compounds, determination of main structural characteristic of compounds responsible for such activity, and its application in development of novel and more efficient medicinally significant compounds. For example, one of my projects involves study of mechanisms of antioxidative activity of polyphenols and their metabolites; another one is a study of free radical scavenging mechanisms of 3-(4-hydroxy-3-methoxyphenyl)propanoic acid. My job is dynamic, challenging and pushes me to do my best. It is a combination of teaching, continuous learning, creative and critical thinking and writing. There are two types of tasks in my current job. One is teaching practical courses and seminars for the undergraduate students, lab supervision, writing and grading exams, supervision of bachelor/master students, and similar. And the other is conducting my own research work and writing papers, conference presentations, etc. I’m trying to interest students for my research as much as possible, especially since this field of chemistry is not something they are well acquainted with and they are the next generation of scientists. I think that the biggest achievement in my scientific career is jet to come. It takes time and effort, so I’m constantly reading, learning and trying to improve myself. How would you describe yourself as a supervisor/mentor? So far I have supervised only a few undergraduate students and they are the only ones who can answer this question. But I understand the importance of a friendly working environment so I have always tried to be open for communication, patient, approachable, helpful and understanding. Well I’m quite boring so no explosions (yet), but I made a lot of silly mistakes, though nothing out of the ordinary. Except I have once accidentally wiped clean my memory stick (with no backup). Throughout the history there was a lot of excellent scientists worthy of admiration for their advanced thinking as well as for their perseverance, so it is difficult to pick just one (though I am a huge fan of Galileo Galilei). I admire the people in my research team because they are true experts in their field and are not afraid to share their knowledge and expertise. They are inspiring because of their passion, open-mindedness, integrity and honesty. Did you experience any unfair situations during your scientific carrier? This is something that occurs from time to time. I have had my share too, but I tend not to dwell on the past but use the experiences (even the negative ones) for the future. The papers I am proud of are the ones that are a result of collaborations with friends. I was very proud of my first paper, but the most important paper is yet to come. This week's #Iamamedicinalchemist is Cedric Dzidzor Amengor from Kwame Nkrumah University of Science and Technology in Ghana. Read more about his research interests below. Would you also like to be featured on our page? Feel free to contact us by message or email! I got interested in Medicinal Chemistry in my third year in the University. After graduation, I became a teaching assistant in Pharmaceutical Chemistry department. I became a Pharmacist year after coupled with my appointment as a Graduate assistant for two years. My profession as a Pharmacist and passion in chemistry actually cemented the interest to understand more about the chemistry of medicines. My research interests are in designing and synthesizing novel compounds using click chemistry as targets for neglected tropical diseases. Always seeing chemicals triggers structure optimization in me and I enjoy being in the lab. 1. Teaching undergraduates and supervising their project works. Designing project works for MPhil students. There sis nothing successful in your PhD work except finding greatest joy after your PhD by contributing to improving the lives of humanity. Patient but I need the work to be done. During my PhD, I was carrying out a Sandemeyer reaction. I under-rated the scale of reactions and did not use a larger vessel. After about 10 mins of adding all reactants, the whole reaction medium started popping out vigorously. Just immediately, a big boom in the fume hood and spilled all over. Fortunately, the fume hood was in appropriate position so I was safe. The remaining portion of the product however gave me a wonderful click product after. My greatest Scientist is anyone who lost their life in contributing to humanity. I am currently writing two papers and should make a great impact when published. This week's #Iamamedicinalchemist is Cornelia Zumbrunn from Idorsia Pharmaceuticals in Allschwil (Switzerland). She is interested in developing drugs to fight deadly bacteria. Find out more of her research interests below! I have been fascinated by chemistry since the age of 14. After highschool and before university I worked for several months in a company producing UV stabilisors for car paint. I decided that the job itself was great but that I wanted to solve more relevant problems in life, i.e. save lives by discovering novel medicines. I work as a labhead and project leader at Idorsia Pharmaceuticals in Allschwil (Switzerland), a young but already quite big biotech company. Since the beginning of my career I have been convinced that antibiotics are one of the biggest achievements in modern medicine. I wanted to contribute to the discovery of novel drugs against deadly bacteria. This is what I have been doing since many years. Antibiotics cure infections and save lives. It is hard to imagine how our life would look like without them. Many of our recent innovations in healthcare such as surgery, cancer treatment, neonatal care etc. are based on the availability of antibiotics. At the same time, we, i.e. mankind, use antibiotics in an irresponsible way that favors the spread of resistance and we might soon experience again how it is to be unable to cure a pneumonia or skin infection. I am grateful that despite the lack of return of investment a few pharmaceutical companies still feel the responsibility to invest money in this type of research. More recently I have been involved in projects from other disease areas which of course does not change the overall aspects of my job. I love the combination of practical work in the lab with the intellectual challenge to work in an interdisciplinary environment required to successfully develop a novel drug. To make compounds active on the target is one thing. But to synthesize compounds that are active, selective, non-toxic, stable, soluble and can be administered to patients in a reasonable way is a complete different thing. The job of a medicinal chemist is to understand these parameters and design compounds that fulfill all of those requirements. A formidable intellectual challenge, like a multidimensional Sudoku puzzle, which requires a lot of creativity! And a big frustration tolerance! What kind of tasks does your job include? What kind of skills does your job require? A medicinal chemist should not only master organic chemistry, but he/she should also be able to understand the biology relevant for the project. Knowledge of physiology, mechanisms of toxicity and metabolism as well as process chemistry, solid state chemistry and galenics are of great help. Working in big interdisciplinary teams requires a number of soft skills like communication and the awareness that the result is the achievement of the whole team and not of a single person. I have been able to contribute to the advancement of several compounds into preclinical phase. This required sometimes a great deal of creativity and out of the box thinking, which I’m proud of. Unfortunately, none of these compounds has made it to the market. But I think that our job is to optimize the compounds as good as possible with as few compromises as possible. This is all we can do. Bad surprises in form of unexpected toxicity or intolerance are impossible to foresee and can arrive at any time. The science I am most proud of has unfortunately never been published. This is one downside of my job: the most interesting compounds are patented and by the time we would be able to publish, the next project is important and writing a publication about the old one is time consuming and only “nice-to-have”. This week's #Iamamedicinalchemist is Associate Professor Joaquín C García-Martinez from Universidad de Castilla-La Mancha, Albacete, Spain. You can read more about his research interests below. Actually, I don’t remember when I first time became interested in Medicinal Chemistry, but I remember when I decided to be a scientist. I was 16 years old and I was studying Chemistry in high school for the first time. I told my teacher that I liked chemistry but “doing chemistry” not “teaching chemistry”, and he was the first person who told me what researching is about. Since that moment, all the main decisions of my life were focus on being a scientist. I became a doctor in 2002, in University of Castilla-La Mancha. School of Chemistry of Ciudad Real. Synthesis and Optical Properties of p-Conjugated Dendrimers. I mainly learned organic synthesis and molecular characterization of the optical properties either in solution and solid state. During my PhD I was mainly training in organic synthesis in dendrimers and when I looked for my postdoc I wanted to learn more about applications and properties of dendrimers. I have been almost three years in the Prof. Crooks research group at Texas A&M University (USA). Working with him, I had the opportunity to learn about supramolecular chemistry, metal nanoparticles or catalysis on dendrimers. Our laboratory mainly focusses on the synthesis of active molecules. Our research interest is on tuning the final properties of the molecules by supramolecular interaction. The design the appropriated chemical functionalization of the molecules looking for properties was a historical aim that result in inefficient when final properties may be seriously affected within the environment because self-assembling induction or interaction with other molecules. In some way, molecular design may address molecular and supramolecular properties. I like to think that my biggest achievement is about to come. We are constantly learning and improving. If I thought that I would had done my best finding I will not made enough effort to reach the next challenge. I started the Pharmaceutical Organic Chemistry group in 2010, as well as the School of Pharmacy. This small emerging group are currently formed by four full time professors, one postdoc, two PhD. students and one undergraduate. We are growing physically and scientifically and always looking for enthusiastic people who love research and science. I think this question is for my PhD students or postdocs. But I have to say that I want people to work in a friendly working environment and to love their research. Science is very passionate, it is how I feel it and it is what I like to transmit. No passion No Science. I have always admired big scientist that friendly talk to other full professors and kindly listen to PhD. students. Scientists that reveal a great achievement as it was something casual. In this sense, I especially have to mention two: Prof. José Elguero (CSIC Madrid) and Prof. Juan Carlos Izpisúa (Salk Institute, CA, USA). Prof. Elguero is considered one of the fathers of the Organic Chemistry in Spain and I know him since I started my PhD. He always showed interest about me or my research and had a nice word to inspire me. Now, he is still taking care with the new researchers like he did with me. On the other hand, recently I had the opportunity to meet Prof. Izpisúa. A very nice person who with “spectacular” naturality can explain his amazing results and then ask you, how are you? Good scientists that are amazing people. It was the main full paper that I published as first author, because of the policy of the group all full staff were included as authors and an extensive list of authors was in this article. The good thing about it is that now, the policy in my group is “if you work you are in”. There are few of them because of assorted reasons: scientific challenges, personal growth, bonds of friendships, etc. But there is a common adrenaline rush in all papers that I have published: Seeing the galley proof of a “just accepted paper”. This give me fuel for the next one! Many fields are hot topics in medicinal chemistry and most of them are “chemical” or “medical” issues. In my opinion, the future must involve others disciplines to explore new perspectives. In this sense, Data Mining is strongly developing in other fields and not much in medicinal chemistry although all kind and numerous data is being collected for years. These data, appropriately processed, may be very helpful in the development of new tools, drugs, therapies, etc. This week's #Iamamedicinalchemist is Mohamed Mahgoub from South Valley University, Egypt. Read why he danced in the lab and other information about his work below! I got interested in chemistry when I was in secondary school. In the first year at university I became very excited in chemistry, especially organic chemistry. I always got high grads in organic courses and had good experience in laboratory. After graduation I received my permanent job at my science faculty as a Teaching Assistant…. Starting from this moment, I always was thinking how can I use my career to help people?! We have health problems not only in my country, but also worldwide. So, starting from that point I became interested in medicinal chemistry maybe I can do something for helping the humanity. I just came back from Lisbon university, Portugal. I was in a PhD scholarship. Now I am a Teaching Assistant at South Valley University (SVU), Egypt. Currently, find a novel acetylcholinesterase (AChE) inhibitors based on thiazolopyrimidines scaffold. 1- teaching practical courses for undergraduate students and organized exams……etc. 2- doing my PhD work, searching, practical work and writing papers…….etc. - Writing and reading scientific paper. - Seriousness, and of course if you are working in this filed you must be patient. GREAT LEARNING___I think the biggest achievement was getting some scholarships, one after my master and two through my PhD studies. I learned many new things in my career (excellent characterization of new compounds using 1D and 2D NMR, ESI-MS and X-ray analysis, Molecular docking, some other computational chemistry (Optimization-Total energy- HOMO-LUMO orbitals, Hirschfeld surface …….. ect.). In my opinion is to love own work and working in a collaborative research group. So far, no explosion..!!! But there are some funny things happened during working in the lab. During the master I was trying to use new natural catalyst in my work. I tried several catalysts but did not work..!! Finally, I used Quartz as a catalyst and after 2h I found precipitate in the flask during heating….I was very happy and started dancing. My supervisor saw me and he started laughing ……It was funny day. Noteworthy, I finished my master by using this catalyst. Prof. Ahmed Zewail (http://www.zewail.caltech.edu/index.html) he is Egyptian. In 1999, He won the Nobel Prize in Chemistry alone! for his work on femtochemistry. NOW, I am writing two papers and will be very proud after publishing. Drug design related to cancer disease in general. It is #Iamamedicinalchemist time again! 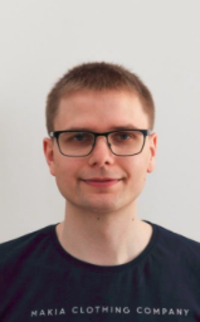 This time we share you the story of Johan Gising from Uppsala University. You can read more about his research interests below. During my studies in pharmacy at Uppsala University I found the organic chemistry courses especiallyinteresting. 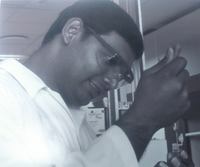 I showed my interest for the department of Medicinal Chemistry and worked there as a lab-assistant during the summers. The research was very exciting and after spending more time at thedepartment, summer research school and a master degree exam work, I was certain that wanted to peruse a PhD degree. I spend most of my time in the area of infectious deceases and in angiotensin related research projects. In drug discovery and early drug development you will get use for all your skills and work in a veryinterdisciplinary environment. It is very challenging and no day is alike. Coordination of medicinal chemistry FTEs in the European Gram-negative Antibacterial Engine chemistry platform (ENABLE, part of IMI-ND4BB), planning and risk evaluation of synthetic routes, project leader in academic research and supervision of PhD students. Interdisciplinary skills and good communication skills are very important. Of course you need wide medicinal chemistry knowledge but it is also important to have some insight and understanding of the areas of all collaborators fields to progress in drug development research. One of the most important skills for a medicinal chemist is persistence and positive thinking – a lot of synthetic routes seems very reasonable on paper but might fail in late steps forcing you to start all over again and again and again. I was recruited by ENABLE and started as a medicinal chemist with minor responsibilities. During the following two years I was engaged in developing the workflow and improve communication in the big international organization. In this process I got more and more responsibilities and I now hold several keypositions in ENABLE such as shared leadership for all ENABLEs chemistry resources and co-lead for a lead to candidate drug programme. During my PhD studies I worked on a methodology development for improving the synthetic route to a heterocycle. The ring closure proceeds through release of gas and required high temperature (aboveboiling point of the solvent), not a good combination in sealed vessels. I utilized a dedicated microwave synthesizer for the ring closure and several reaction exploded during scale up. The dedicated microwave synthesizer is explosion proof but needed maintenance several times, my supervisor was very relieved when I finally got control of the reaction conditions. I collaborate with several scientist that are experts in their field. The ones I admire have very high research integrity and can communicate both at an expert level in their field, explain their research results to other trained scientists in other fields and also takes time for students. 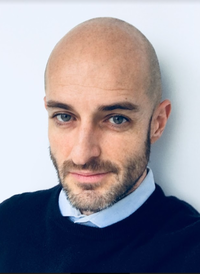 This week we present the story of Clemens Zwergel, a postdoctoral scientist at the Sapienza University of Rome. Standing as a child in the pharmacy of my aunt I was fascinated by the miracles happening in the pharmacy watching her dispensing all the coloured pills and creams. As I was growing my interests got more focused and I decided to become a healthcare professional studying pharmacy. At faculty of pharmacy, I met my first supervisor Prof C. Jacob getting me in touch with the world of science and research. He aroused my passion for medicinal chemistry while working on my diploma thesis with his unique character to motivate his students. 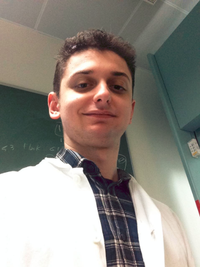 I am a postdoctoral scientist at the Sapienza University of Rome in the Department of Drug Chemistry and Technologies. I am working in the team of Prof. Antonello Mai on various epigenetic targets. I am focused on the design and synthesis of small epigenetic modulators targeting all main classes readers, writers and erasers. For example, one of my current projects involves novel and selective HDACi in cancerous and non-cancerous diseases. Certainly I like best the fact with my current job that I can combine practical work in the lab with creative thinking and writing. However I consider also teaching and advising students as a source of pleasure as these people are the next-generation scientists one can help to find their way. That is not an easy question but I guess winning the Marie-Fellowship and thus doing my PhD project within an international network of experts was my biggest achievement so far. I would not limit this question only to PhD students and postdocs but to scientists in general. A good scientist needs to be a good all-rounder. He needs to possess not only creative skills and a strong working attitude but also practical skills are required to conduct the previously planned experiments. Problem solving strategies do not only help to get around scientific problems but also help with the interaction of colleagues and collaborators. Furthermore it is becoming more important also to be a marketing expert not only to promote the own career but also to attract sufficient funding. This story dates back well 12 years ago when I was still an undergraduate student. I was working in a team and I throwed away our product instead of the waste after 3 days of labwork. You can imagine that my team-mate was not very happy and also our instructor as we had to repeat all on an extra day. However I learned an important lesson: don’t throw away anything until you have your result. That is a tough question to name just one scientist because there are too many excellent ones, but you asked for one so my choice would be Leonardo Da Vinci. He influenced as universal talent our modern world we live in today in a way you cannot underestimate. His visons almost 500 years ago could be confirmed or became reality just now. He drafted not only the first idea of an helicopter but his contributions to anatomy were fundamental for our modern medicine of today. In the years to come I expect the first multi-target modulators to be marketed. This intelligent approach usually allows scientists to avoid toxic side effects of single agents alone and reduce the risk of resistance development. This week's #Iamamedicinalchemist is Matija Sambol from CRO company Fidelta. 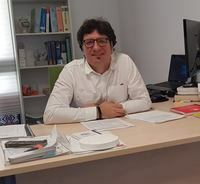 He is working on the synthesis of new anti-cancer drugs, and you can read more about his work and research interests below. I’m currently writing my thesis so I will obtain my PhD diploma this year. What is the topic of your PhD project? The topic of my PhD project is new antiproliferative agents based on photochemical formation of quinone methides (QM). The main objective is to synthesize and fully characterize several classes of compounds which contain QM precursor subunits and 1,8-naphthalimide as non-covalent DNA targeting group. The molecules with the best performances in in vitro testing will be screened for antiproliferative activity, with the aim of finding new lead molecules for the drug development. I’m currently working in CRO company Fidelta Ltd. located in Zagreb, Croatia. My current position is associate scientist – medicinal chemist. I have been so far during my PhD work as well as in medicinal chemistry at my company involved in oncology as therapeutic area, therefore this area I found the most interesting. Well, I became interested in chemistry when I was in elementary school thanks to my enthusiastic chemistry teacher and the experiments which we did in classes. I enrolled a secondary chemistry school and after that Faculty of Science, Department of Chemistry in Zagreb. After I obtain my master degree, I started to work at the Ruer Boškovi Institute, and later in Fidelta where I first encountered medical chemistry. How I get interested in medchem? The answer is very simple. If you want to help people and develop a new molecule with druggable properties you have to enroll in medicinal chemistry. In my opinion, medicinal chemistry is characterized by a dual approach of looking at organic chemistry synthesis, while also contemplating biological applications and activity. I'm just at the beginning of the medicinal chemistry road and I hope that I will someday participate in a development of novel biologically active molecules. Someday maybe that active molecule will become a drug which will help and cure a lot of people. During my postgraduate study I have supervised undergraduate students in their experimental part of organic chemistry and I have always been objective, fair, easy to approach and willing to help each student in their progress. I will pick two scientist that I admire the most. The first one is Vladimir Prelog who was Croatian organic chemist. Vladimir Prelog received the Nobel Prize in chemistry (1975) for his research in the area of organic molecules stereochemistry and reactions. If we look outside the box, we can imagine how stereochemistry is important for drug discovery and also for the interaction of all chiral organic molecules. Therefore, in my opinion Vladimir Prelog had a major importance in drug discovery at the very beginning. The second one I admire is also Croatian chemist - Lavoslav Ruži ka. Ruži ka was also a Nobel Prize laureate. His research interests were in the field of chemistry of natural products. Creativity, diversity and interdisciplinary approach at my job are the most precious values! What kind of task your job includes? The most of the working time I spend in the lab and I love it! The tasks in a lab usually involves organic synthesis and isolation of the high purity target molecules. The molecules are usually obtained using different synthetic transformations and functional group inter-conversions. Furthermore, I’m also performing synthesis of an advanced intermediates, optimisation of reaction conditions, larger compound quantities for in vivo studies and any other request from milligram to gram scale. Modern techniques such as GC-MS, UPLC-MS and spectroscopic techniques are great help in doing the synthesis. Also, I daily update and record all of my data in e-lab notebook and perform NMR structural studies of synthetized compounds. Most of the projects that I was working on demanded the weekly update so I also prepared presentations about my work for the clients. From a professional standpoint, the skills that are required for easier and better work is a good organic synthesis knowledge as well as good handling with the lab equipment and instruments as well as handling spectroscopic data like mass spectroscopy and NMR. Also, a good teamwork and communication skills are nothing less important for achieving a desired result. In my opinion, one of the most promising fields of medicinal chemistry is immuno-oncology since cancer is a widespread, vicious disease and is one of the leading causes of death in the world. Immuno-oncology is using a unique approach that uses the body's immune system to fight cancer and for that reason it changes the standard of cancer patient’s care, paradigm of cancer treatments and also the drug development. In addition, a lot of pharma companies are entering the field of immuno-oncology. This week's #Iamamedicinalchemist is PhD student Teppo Leino from the University of Helsinki. Find out below why he is called Mr. Blue by his colleagues! I was interested in chemistry and other natural sciences already in high school, but only after starting the studies in the university I got really excited about organic chemistry. The professor at the university was teaching his topic with admirable enthusiasm, and he had an important role in getting me interested in medicinal chemistry. Also my first practical experiences in a medchem lab as an undergraduate were inspiring, and from then on I had the direction for the rest of my studies. I am interested in the studying the potential of azulene ring structure in medicinal chemistry. Success in the lab! I experience the most exciting moments in my job, when I manage to synthesize a new compound and I get the first analysis results suggesting it to be what I wanted. Most of my job consists of research: both practical organic chemistry lab work and writing scientific articles. In addition, I have certain teaching duties such as supervision of M.Sc. students when they are doing their experimental work for their theses. Creativity and strong understanding of organic chemistry and analysis of organic compounds. Not being a real skill, but I have learned patience is a must-have for a PhD student! So far I think the biggest and most satisfying achievement in my career has been the publishing of my first article as first author. It was an important step on the way towards finishing the PhD and encouraged me to continue the journey. During my research visit in a foreign lab I was synthesizing new azulene derivatives, which are usually very colorful, thanks to the properties of azulene. Once an exothermic reaction got too hot and the pressure in the flask increased and caused the reaction mixture to explode in the fumehood. Following this, everything was colored blue in my hood and the colleagues started to call me Mr. Blue! This week's #iamamedicinalchemist is Tharindi Panduwawala from University of Oxford. Read more about her research below. wanted to learn more about small molecule drug discovery. I obtained by PhD in Organic Chemistry from the University of Oxford (actually, PhD is referred to as a DPhil in Oxford) in 2016. 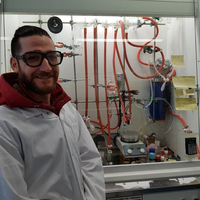 I was working on natural product-guided antibacterial drug discovery with tetramates as core scaffolds in Prof. Mark Moloney’s research group. It was a very educational journey for me and really enjoyed working on this research project. We managed to make a library of compounds in search of novel antibiotics and some of these compounds exhibited a dual-mode of action. I am currently working as a postdoctoral research associate at the University of Oxford in Prof. Christopher Schofield’s research group. The project I am working on is a hit-to-lead drug discovery project under the ENABLE consortium. It has been an exciting journey so far and a great learning experience where you get to work with an amazing team of scientists within the UK and across Europe. Throughout my DPhil and postdoctoral research work, I was working on chemistry related to the field of antibiotics. The previous work I did was focused on developing a novel antibiotic core scaffold in search of the next first-in-class drug. Then I moved into my current field of work on metallo β-lactamase inhibitors (MBLi) for combination therapy with β-lactam antibiotics. Currently, there are no MBLis in the market. The work we do every day to fill an unmet medical need. This gives me the momentum to keep going. At the same time, we get to learn from each other within the team, which I very much enjoy. I mainly work as a synthetic organic chemist, but also work in the biochemistry lab when required. In addition to that, supervision of masters and DPhil students. Passion for what they do…being motivated to do what they do. Also, along with good quality science, one’s ability to work in a collaborative research environment, the willingness to give a helping hand when needed will also define one’s success. So far, fortunately, no explosions. I’ve had my share of silly mistakes in the lab, but nothing significant to be embarrassed about. They are mistakes that we can laugh at in good humor…I hope!! I’m keen to know what medicinal chemists think are the disease areas that they believe need more attention. 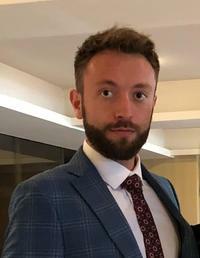 This week's #Iamamedicinalchemist is Federico Munafò who just finished his degree from the University of Pisa and who is looking for a Ph.D. position in the field. Read more about him and his research interests below. I am a just graduated in medicinal chemistry and pharmaceutical technology from University of Pisa and now I am looking for a PhD position. Meanwhile I am working in a laboratory where I perform chemical analysis on food contact materials. I have been addicted to chemistry since high school thanks to incredible teachers. During my last year I had the opportunity to spend some days in a research center where I met a research group focused on the development of polymers for medical uses. This meeting made me curious about application of chemistry in the medical field. That’s how I met medicinal chemistry and I fell in love with it. Figure out how a pill of a NSAID can ease the pain by applying organic chemistry is really amazing, isn’t it? What are your current research interest? My master thesis project, which has been carried out at the University of Copenhagen in the research group headed by Associate Professor Anders Bach, was focused on ischaemic stroke. Depletion of oxygen and glucose, due to blood flow reduction, initiates a series of biochemical reactions after minutes of ischaemia, together called ischaemic cascade, that lead to the production of reactive oxygen species, and at present the only available therapy focuses on restoring an adequate flow of blood to the brain without counteract oxidative stress. An emerging therapeutic strategy against ischaemic stroke is to disrupt the protein-protein interaction between Nrf2 and its repressor protein Keap1, thus boosting the Nrf2-dependent defence against oxidative stress. Undoubtedly, I like to wake up in the morning without knowing what the day holds for me. I don’t want to write “see yesterday” every evening on my diary. This job gives the opportunity to do different things. One day you can be an organic chemist and the day after you can perform biochemical tests. Another aspect that I really like is that team work is the basis of this job. You cannot achieve results without the contribution of your workmates, but, at the same time, your work is fundamental to reach the goal. Finally, interdisciplinary meetings are always a good opportunity to learn something new. I work in a chemical synthesis laboratory. My tasks involves organic synthesis, characterisation and purification of compounds with different scaffolds, such as sulfonamides, benzoannulene derivates, and benzotriazole derivates. Furthermore, I prepare presentations about my work for group meetings and I daily update my laboratory book. From a professional standpoint, a good knowledge of organic chemistry and spectroscopy (mainly NMR and Mass Spectroscopy) makes the job easier. Except for these “standard” requires, I think that motivation, curiosity and perseverance are keys issue to succeed in this regard. Research is certainly fascinating, but quite often could be stressful. We should learn from failures. As is often said, bad results are still results. Well, you know, it is just the way life is. Another key require is the ability to work as a team. We must be cohesive team. As I said previously, you can not achieve results without the contribution of your workmates, but, at the same time, your work is fundamental to reach the goal. Sorry, I have not bombed any laboratory yet. However, once I was synthesising a new compound starting from a mercaptan and probably I did not close properly the reagent vial or the reaction vessel. What is certain is that a stench was smelled all around the laboratory. At the next group meeting we talked about the project...and why mercaptans have a disgusting smell. That’s a tough question. I admire for sure Giulio Natta. HIs studies leaded to the synthesis of polypropylene and we all well know the importance of this polymer in our daily life. I also admire Margherita Hack for her professional highlights, but mainly for her activities outside of science and her thoughts about ethic. Finally, I admire Alexander Fleming. I guess we all agree that his discovery changed the fate of a lot of people. This week's #Iamamedicinalchemist is Riccardo Provenzani from University of Helsinki, Finland. Read about his work below. Well, long time ago as a kid I always wanted to play with one of my best friends who owned the game “Il Piccolo Chimico” (“The Little Chemist”) and try to create new revolutionary potions. Then, during my Master’s programme in Pharmaceutical Chemistry and Technology at the University of Pavia, the combo Molecular Modeling/Drug Design/Synthesis totally blew my mind—apparently that little chemist was still kicking for new discoveries. So after the Erasmus exchange in Finland I stayed for my PhD studies. I synthesize new compounds targeted to the C1 domain of protein kinase C to investigate new therapeutic approaches for cancer and Alzheimer's disease. I am also developing a new affinity chromatography device to understand the mechanism of action of the compounds. The dynamicity! Every day can be different and full of surprises, whether good or bad. Experimental design, plenty of lab work, troubleshooting and writing. PhD students in Finland also have “teaching duties” so I supervise bachelor/master students and assist lab courses or tutor exercise sessions for pharmacy students. As side tasks I take care of few instruments like our flash purification system and NMR spectrometer. Being open minded, co-operative, willing to learn new things and ready for sudden change of plans! This week's #Iamamedicinalchemist is Nadine Jagerovic from Medicinal Chemistry Institute in Madrid. Read about her research below. After having defended my thesis which was oriented on materials, I was actually feeling that I could even enjoy more research if I could focus my chemistry on biochemistry, biology and medicine. It is why I did my postdoc in a medicinal chemistry lab. I am originally from Beaune in France, and I obtained my PhD diploma in 1991 from the University of Burgundy. The research group was very dynamic and I really enjoy a kind of family atmosphere. I worked on metalloporphyrins. They are fascinating structures having precious colours. However, due to their instability to oxygen and water, once they were getting brown, you knew that the reaction needed to be set up again. The purpose was getting porphyrin-based polymeric conductors. I got my first two-years-postdoc position at the University of California Davis (USA) founded by a NIH grant. There, I could apply the porphyrin chemistry to the photodynamic therapy. This therapy was just emerging and it was so exciting to be part of the adventure. San Francisco was close, which only increased the pleasure to be postdoc. Then I got my second two-years-postdoc position at the Medicinal Chemistry Institute in Madrid (Spain) thanks to a Marie-Curie-fellowship in the EU human capital mobility program. I reside in Spain and I have been working at the Medicinal Chemistry Institute in Madrid for more than twenty years. How time flies! I am a Senior Research Scientist of the Spanish Research Council. These last 15 years, I have been developing my research in the cannabinoid field. As a medicinal chemist, my research is focussed on designing new entities acting on the endocannabinoid system. Due to the increasing public interest for the medicinal cannabis, studying its mechanism of action and designing new molecules with reduced psychotropic effects is a personally fulfilled research. The day that I think having accomplished my biggest achievement, I better stop doing research. There is no way to be satisfied, learning is the best achievement. Another kind of achievement for me is the pleasure realizing that my students are getting scientifically independent. This is probably my mother-hen side coming up. In the group, we have one PhD student, three graduates and soon another postdoc student. Depending on the grants or company contracts, we might offer PhD positions. But, be aware, the candidate is not only selected by myself, my students participate in this selection. I never feel to be a supervisor. I am as my students are, part of the group. I usually prefer to let them develop their research and be there when they need me as an advisor. That does not stop me being mother-hen. I experienced fire, small explosion but the most embarrassing concerned a new computer. That was a long, very long time ago, I change my Mac computer for PC. The first day I clean the screen in my way and the next day I could not start the computer. A computer scientist took it to repair and two days later asked me who was the person that move the boot disks in a folder named “No idea”. I am a “fan” of Professor Mechoulam, the father of the THC (tetrahydrocannabinol). I admire him as researcher and as a person. This is one of the most generous person I know. He has been collaborating with hundreds of researchers. He is always smiling and full of energy despite his age. For years, he has been the research engine of all of us, he inspires most of us in the field of medicinal cannabis. We all experienced such situations from time to time, but this is always better not spending too much time and energy in it. I am never fully proud of a paper, but I actually like the papers that are the results of several nice collaborations with friends. Personalized medicine is emerging. It will be so interesting to be able to treat patients based on their predicted response or risk of disease. Medicinal chemist can help in this direction with their expertise. I hope that neglected tropical diseases and cancer can find treatments. In the case of the tropical diseases, Foundations as the one of Steve Job, finance international grants. For instance, research is currently in an advance stage with the existence of a cheap unique-dose antimalarial agent. Treatment of cancer will be personalized decreasing side-effects. 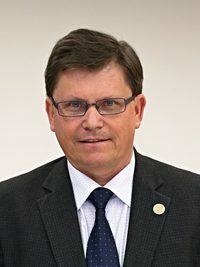 This week's #Imamedicinalchemist is Professor Antti Poso who is working both in Finland and Germany. I was extremely bad in organic chemistry :) However, at the same time when I was selecting my major subject a new research field at the University of Kuopio had just been started: molecular modeling. It looked quite interesting and I thought it makes sense to use computers to study chemical topics. Anti-cancer drug design, understanding the solvation and desolvation effects in drug binding and the design of new antibacterial compounds. Target validation is a topic I am also really interested in, as even the best compound can do very little if the target is not good enough. Science is the best part. To find something new. It is great to recognize that we are able to actually design new compounds and those compounds are doing what we want, like killing cancer cells. Sorry, no explosions since I work with computers (although I overheated one once…). I have once also accidentally totally wiped out the hard drive but this is (I think) not that special..
Brian Kobilka: he continued his research topic even against the “common knowledge”. It was a generally accepted fact that there is not so much interest in studying any more G-protein coupled receptors, but thanks to his work, this is not the case anymore. Which paper of yours are you the proudest of and why? For me the most important paper is still not published yet. And I think it will be always that way. I know that all the models I have created are wrong but some of the models can be used. That’s the fact. If I could tell that I would be already making this breakthrough myself. I believe a good candidate is better integration of theoretical methods (like docking and library design) with combinatorial chemistry library construction. I also believe that usage of MD simulations will become a standard tool in drug design. I’ve always been interested in the natural sciences and in high school I had an outstanding chemistry teacher who really awakened my interest to the field of chemistry. He also gave me the opportunity to go to the Berzelius days, which is the biggest chemistry meeting for high school students in Sweden. One of the lecturers showed us the beauty of medicinal chemistry and from that day I was hooked! I really like the combination of organic chemistry with the medicinal field. My PhD project involves identification and synthesis of Insulin-regulated amino peptidase (IRAP) inhibitors. Inhibition of IRAP has been shown to improve cognitive functions in several animal models and is considered as a potential target for treatment of cognitive disorders. Previously, most of the inhibitors have been peptide-based but we developed an assay amenable for HTS where we identified several small molecule-based inhibitors. We’re currently working on hit expansions on some of these. I really like that I get the opportunity to do so many different things. Synthetic organic chemistry, analysis and biochemical testing of the compounds, as well as teaching undergraduate students. I like spending time with motivated people in the lab even though we’re working in different projects and in different areas of the medicinal chemistry field. The interdisciplinary discussions are what I like the most since I learn new things all the time. It satisfies my curious side that wants to know and learn as much as possible! Working as a PhD student has also given me a lot personally. A major challenge with a PhD project is to work independently and to find new ideas to tackle problems, and that has made me grow both as a scientist and as a person. I have learned to deal with pitfalls as experiments don’t always go as planned, and to manage a research project both independently and in a team. My job includes 80% research and 20% teaching. The teaching commonly involves supervision of lab courses and seminars in organic chemistry for undergraduate students. The research part is my PhD project which involves both synthesizing compounds as well as evaluating them as inhibitors in biochemical assays. I am also responsible for the NMR-instrument at the department which involves nitrogen and helium filling as well a basic maintenance of the instrument and software. Except for all the ”standard” skills required for someone working in academia, like scientific writing, critical thinking, creativity, teaching, ability to learn and comprehend new information etc., I would say that some of the most important things when working as a PhD student is to be able to praise the failure and be persevering and courageous! Failure is a normal part of the process and sometimes it feels like getting a PhD is more of a test of endurance rather than knowledge, and you need to be brave from time to time to do something with what others don’t agree if you feel the potential. Of course, you also need to be able to work independently, to keep track of things you do (you will do a lot! ), to be patient and believe in yourself (things will go wrong even though you gave your best), and last but not least; learn to get things done. Can I pick three? I would say Marie Curie for being the first woman to win the Nobel prize (twice! ), Galileo Galilei for putting science before religion which must have been hard at that time, and Charles Darwin for knowing that the evidence he had for natural selection would cause people to get upset but he stuck with his conclusions and time has proven him right. In everyday life, I would say that I admire scientists that are truly experts in their field and without any concerns shares their vast knowledge, allows you to ask an infinite number of questions without feeling stupid, and inspires you to continue and keep a positive mindset no matter how many hurdles you face along the way.